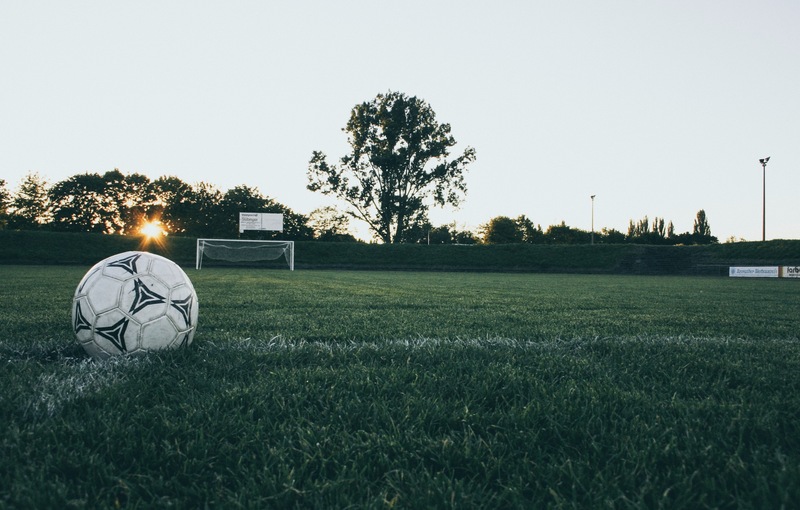 Free Soccer Clinics this Spring! Spring is finally here, which means it is time to get outside and have some fun! 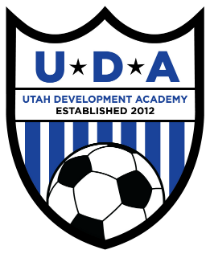 Join Utah Development Academy for our FREE spring soccer clinic series on Friday nights in Arpil and May from 6:00-7;00 pm. Clinics focus on experiencing and learning through open play and are open to all boys and girls ages 2013-2008. 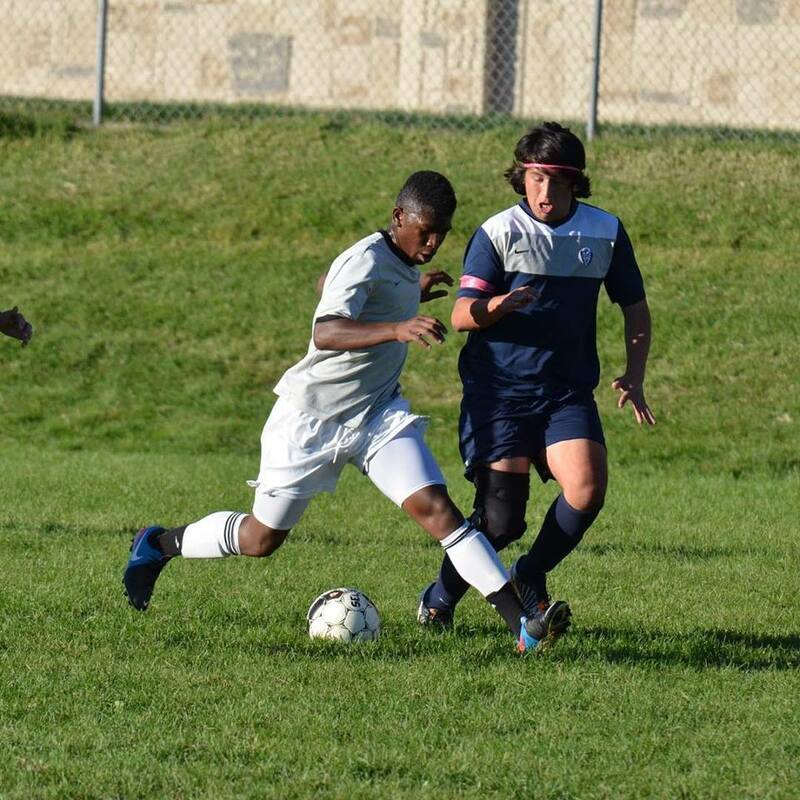 Bring a friend, soccer cleats, and shin guards and get an inside scoop on everything UDA. If you are interested in coaching, come out and talk to us. 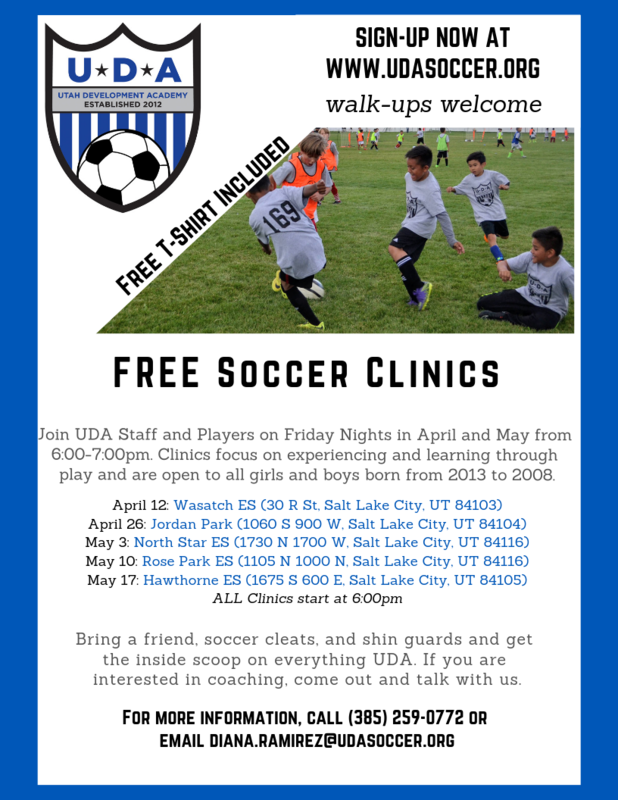 For more information email diana.ramirez@udasoccer.org.